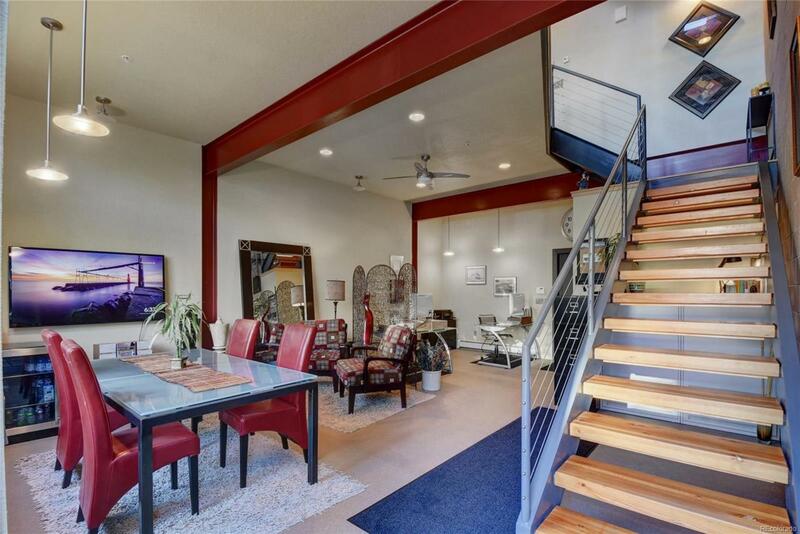 Rare opportunity to own a Live/Work-Loft/Mixed-use unit in Bradburn Village. Perfect for business owners needing a Retail, Office, or Residential Live/Work environment. Or the Investor looking for a 1031 exchange. Great visibility with large store front display windows and foot traffic on Bradburn Blvd! Newer construction. High end custom finish and upgrades throughout. Open and flexible floor plan on 3 levels. Lots of light, 2 decks with mountain views. Custom kitchen and baths. Generous custom closets and storage spaces. 2 car garage with overhead safe-racks storage and finished flooring. Walk to Whole Foods, 5280 Burger Bar, Fuzzys Tacos, Early Bird, Zen, Teds Montana Grill, Noah's, Yoga, 24-Hour Fitness, Hair and Skin Salons, Dentist, Schools, Trails, Front Range Community College and so much more.